Encrypt and decrypt messages directly on our website at no cost. GK-CRYPT GK-Crypt is the strongest data security package available. It keeps your data secret and secure against any intrusion by using the latest ultra-strength 640-bit data encryption. MX-CRYPT MX-Crypt is a fast, secure way of exchanging messages without transmitting or distributing any cryptographic keys. The cryptograms on this page are conventional simple substitutions, where one letter stands consistently for another letter, and no letter stands for itself. 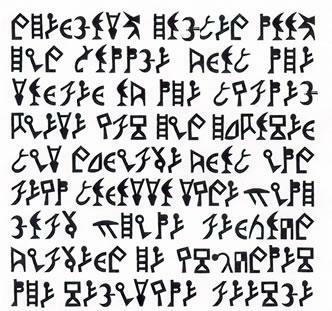 All of the cryptograms are in English, and most of them avoid obscure or obsolete words, dialect or unusual spellings. The word breaks and punctuation are given. An * precedes any capitalized letter. There is no relationship between these cryptograms, so that a letter which represented A in one of them might represent B or W in one of the others. OU, EQ ES ED SU VI, RU NJ UA WA UB VZ KZ JW UH KW WD ZI RU "GU HI KE QW DU OW SE GU" SU ND. XDQ RDQ HDQ, SDQ VDQ KDQ, TDQ BDQ MDQ JDQ PDQ. ZBG MWJ *NST PYH KZR EZF VYX. LEG BASL GEEK SEANK C GEEKSLASH SLASH, *CNBC? FOEPIHW SFIHEZO SVCGEXIZWR SBZXEVJ XRDA SFGEYRPCW HDOJ. HBCOEXWPB GDVW WRYCGEPA YDBESPOGR, WBCIHVPA APXEWDH. DEPTH AMBLER YBDE LIMOS HOMY TWAS ROPWI. KWMZL HVZF VHCFA *KGHAZJF VF CPFHLJPI LWMIG? MILD UMBERS WORDRBW RUCRCAX WORDRBW VERSE CLIMAX BEARD WORDRBW. IFZSEU, O HFSCZT HRQUHTD RQIODE. LEUNSRHB AMBUSHED HER: CHMAN CLEANED. OLDEST BOLDEST BOLDER ROLD OLDER. TROOP TLOMIRU EMULATE LO TINUANMP. PEAZNDDNDCNZ SHACNZLTCLANDC SELFSCNTR DPNYYD PEAZNDDN. *PRYOTP ENDNASTY ENASNDO ERP ENDENAS. COT, *BARB *BARBOT BOLT BARO COLT. TOG'A HIDE LIZ'A HKRZ'A RZA'H KRZ'A. PAMS DHOTIS IMPART RAID HOST. *MATMAT THY QHUY MAQZUB TZBYA. BGKEPL BLUE GLQWY, UWQPB UWYKUP. EMRY MPAIR UMPAIR PUMA EPA EMRY? GOOD MANY MAN MANGOOD GOODY. *COME *SUWVNG COVENS *BUYING *BRAWN, *SRVOMS *SAYI. Beat it: ANN *CHI'A CHICHI CHINA. UTOOTLS UILSI ASTER LUSTER LATER. FABH VFJKUIS QATIX CBSGMH CQAHMSF RBAY QIGM LMHB VHBKESM RBHUKXN VQMC CKTJMS PHFJ VBNHIT. CUD MRZ OWQL NWDQ EWKF XCME SDYX CWVLQ TVLI XMPVUH PWY OZWRQ HUL TRWKLQS. Z3: QUARRAYS QAUX *X. RAYS. Z4: UNUPON AXED NOUXE UPUPAND. Z5: PUZOAVI IAFUZ LUZO ... FAVIP, FAIFLIP! Z6: *MICHAAEL TYRCXQHLYBUA HOEQUB CHORD EDMICRQ YCELRCHYXTA. Z7: TROTKY GACK GORY CROAK. Z8: WILDONES STNO LETIXDW IXNOEWD. Z9: SURFBOA TASU OBAF AUSTORU. Z10: GNYL GNOUN JUNGO JNGNLY. Z11: QPGO MORK UGIMAK CEMLO QCPOR MAGIC UMCLE. Z12: VPCREW IRBODCH EPAH AMVDEBO BAD-COMIC WRMO BOPAIC. Z13: XMAN, MARUN BEAR QENX BEAM QMRUB. Z14: *PIGS AGIG ZGAI HEOUGHT REYD PIKO UAR DIZSKYT. Z15: KIHUGAZ BIGORCHI UOXTI OTUIB DRIXRGAZ DRUOBCKI. Z16: GARBIDJ, OWBIDJ (REWDQ ONQT) GARDB DJNET. Z17: ALILOOM SORESICK MCLKLAMB JBESIREJ. Z18: EHZLOKYCHA AKEUYRHJ JLNKEUM MFERZ, OKF RE NCH. Z19: ULTEGO TEGDIM PYGII ULTTGO TGLPYLDLM. Z20: F-AITH: HYAICHA AITS OFTEN HYAZXFNYA SITOXFEO HYAZXC. Z22: MESIBO ASOYEDMB *IDEAS *YEDO. Z23: *LFYTPSF-OAFZY IPSO, TFPS UNFL *SAI *NTZAFSU. Z24: RHYQNO RHYME QHEOI MRHMY RENI. Z26: RHMYZOLD MYZOOPHELF *EDLPZRAYP'F FLAH. Z27: ZIGH AEGIL DGLA HILZE ILEAADE. Z28: PERLJI REIGHL APHGJQT AJTGFQPA FREIGHT. Z29: SYBAEYER ABUSYBODU SYLBED LURODBR. Z30: MAGYCBLB HORSEMA, NHROXELM YCBYE URSCHION, UIGHN GINXBLM. Z31: OKAP *PARKUH CHYA OBZU CHOY BYHZBR. Z32: ZLMINU *ZYPTOX, IMOY IPTORX, HINUITLY THZRXIU. Z33: EDICZ ZDWEKE WDKZE DRSO SLICEW ORDLC. Z34: FLAG *HEIL ADELHUN *AIUAD GLNF. Z35: LADY LOVYDLE LHYVADL LHYLOVE. Z36: XNPHANT OMATY MXNUYT JMYMAURJ PHORAU. Z37: SARDYBE IMBEB EDITH EOHYDMOH TOYBEARSD. Z39: VIRAGOZZY PHAAIBDQ QZGORVBODY QZPHQY. Z40: ITALYET LYIP ETUP ALYUUPT. Z41: CAFEMG RLAEMO Z'UGEON FLAZ, "OXMH NHTXU ROTH ELCH." Z42: *LONGS SDGENU *PUPSLEDU SELPO. Z43: EULYP BREWMOR HLYPIUM OWBBISH IUOSM. Z44: UMRHZO *ORLEAN NPLPEMA ZAOPHAZUP. Z45: UTHYSK *UTAVAMO MIDEAST INDSE YHXVAN *HXNOHKA NATD. Z46: WALKSLEPTOWY SLETZW SEAPY ALKOEPW SOWTZ. Z47: ISWO ODMU SICYDMDWA'U ODOMAYDOCC. Z48: REJIZYJL *AVLJUB RSZR-UBLA SHOLC ASV HEOL CL ASYL IVER. Z49: DAUWOIZ ADAUR ZDHROSH ZOIRZ HRSWORD. Z50: ICCHAQ QUION JPESC NTAX PHX JUSTICCEOJT. Z51: HDQNOK *HARL, KNAMED *LARU, DQEMU LQUOR. Z52: DUM YDUMB UYDMP BDMP BDMU. Z53: TEOM BHOZM TUGOEM HUGZB ETOM HUGETOMB. Z54: GKA, YINVOKOL ANKVOIGNG: "LUNG NG YULUNGNG." Z55: PZTRP EARTO TRAPY TRAPO TAPRY ZERP TAYRP PAERP. Z56: HRUUT EKYACL USREL OKYACH OKASHRUT. Z57: *OHUBL LINGO LIGULN *HUBH. Z58: NGDHTM NGQW QNYBW *NGQTB'D MGQW; ULO UNGDHNLHWO QGMYCTM CLO. Z59: *BHOHBI *MHOCA ABC CM BIHBCA. Z60: *PJACOUMB JACKUPK PKCA KOAJUMB JUMBO. Z61: THYA SHYTRAP SYTR SHAP. Z62: WFILMIS WISL WFILM FILMIS. Z63: NAIHE HICUP IHCHPUM MACHINE. Z64: SCHIPTH ISKSHOT CACAPHON ASCNAK. Z65: IOU SURVT TUSO VIRTUOS. Z66: IF OIGN ENIOR FOREINER FOREIGNR. Z67: FIGHTR *NHGUFQ NTI NQUX RFUNXHQIH. Z68: UHS SNOMM NOMADS BOA THBOB-UTIMS *UDSTIOMB. Z69: MENS MECCA MEANSO CAMEO. Z70: FIXTD S'OLD: OLD STUF FIXTUD. Z71: NBARK! *NABRK RBNCH BRANCH. Z73: PEOS ABNE BEANDA PESO DAO OBS. Z74: ANMYTUO AOTUO NYMAW WOMAN. Z75: LAR RGEKY LAK LIK RAEGK EGKY YKIGR. Z77: NAILG *GOING LNAIR OIGRL NAIRL. Z78: UNC LENCUY UNLE YLNCUY. Want harder cryptograms? Click here. For columnar transpositions Click here. RANDOM NUMBERS Get bulk quantities of random numbers for statistical sampling or for cryptographic keys. » CryptoPop's Hints How to solve simple substitution ciphers.